The World Cup is two days away. Whereas the jocks will be jumping with joy, we are less enthused. It’s soccer for God sake. It’s not even an American sport! One thing everyone has to admit though is that the WC is great for parties. Spain and Portugal are playing on Friday afternoon? Great, let’s all drink and watch the game. Those of us who aren’t soccer-mad don’t get the same privilege. Still, it isn’t like we can’t throw a party, one that doesn’t involve soccer. And, it is going to be adult-themed and epic at the same time. Here’s what you need to know. What to bring, what to bring. In short, it depends on the crowd. If there are sporty people there who prefer to sit and chill then exercise, then FIFA may be on the cards. But, if the audience is more traditional game orientated, then Halo and GTA and RDR never fail to impress. As a rule, mix it up so that there is a wide variety to keep you going throughout the night. And, make sure they are all interactive and involve more than one player. Otherwise, it gets boring sitting there watching other people play. Gaming custom dictates that the host has to provide the grub. You’re not 12 years old any longer so forget about the strawberry laces and licorice candy treats. Instead, think like a party-planner and buy snacks that are mature and elegant. Yep, it sounds like a reach but it is possible! Https://ww.redbookmag.com has a range of 35 easy recipes if anyone needs inspiration. You probably won’t though as long as you stick to the classics. 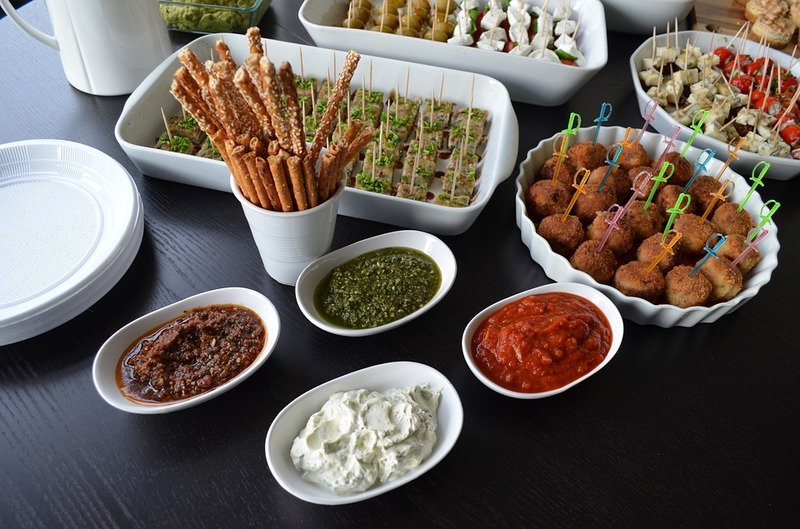 Finger food always goes down a treat, which is why sandwiches are the staple of any party. Of course, chip and dip are about the only appetizers that challenge its popularity. This is where it gets complicated because there are rules and regulations. Everyone wants to sit down, but the gamers need the best seats. Being comfortable while playing is a must. But, any chair won’t suffice. The trick is to use the gaming seat you have as the focal point. To go the extra mile, you can buy another one off of https://goturback.uk/noblechairs-epic-series-review/. Then, use the rest of the furniture to make sure the rest of your guests are comfy and relaxed. Don’t worry about not having a seat for everyone because people stand up and socialize. We all want to have a good time at a gaming party. There is an issue, however: performance. If you and your friends are competitive, the idea of getting wasted might not appeal. After all, some guest will want to be at their best so that they can win. Still, it isn’t a party without booze so you should buy a selection of drinks. Beers and wine will keep the majority of people happy, while soft drinks should suffice for the players. Now for the big question – do you think anyone will forget your game night? Most entrepreneurs don’t work hard at their ventures simply because they want to make money out of them. Instead, you work hard because you feel passionate about what you do, and you want to enjoy the career you build for yourself. Of course, though, along the line, it can be easy to forget about this important part of business. With all of the serious work you have to do, the lighter side of things will often slip by. It doesn’t have to be this way, though, and this post is going to be showing you what can be done to turn things around. Anyone should be able to make their business more exciting with an effort like this. Before you start working on making your business fun, it’s worth putting in some time to figure out why this is important to you. On a personal level, this will give you a much higher chance to finding job satisfaction, as you will be happy with what you’re doing each day. Along with this, though, you also have to think about anyone who might be working for you. People will always work harder when they enjoy their job, and will often stay with your company long into the future if you can give them something enjoyable everyday. Achieving a goal like this takes some very specific work. Your company is going to need to go through some changes, with protocols and other routines being adapted to make sure that they fit into your new needs. There are a lot of approaches you can take to add some fun to your business, though, and this makes it a little easier when it comes to choosing one. Below, you can find a long list of a range of the different changes which can be made to most workplaces to enhance the time everyone has in your business. There are few things in the world which can motivate people like a bit of competition. Of course, when you’re at work, you don’t want this to be stressful, but you still have the chance to keep everyone on their toes. Light performance targets which employees can compare with one another will always be a powerful way to improve office morale. This can be easily achieved using a TV which posts people’s latest results, along with the targets which they should be meeting. While this will make people feel uncomfortable at first, it could make their working life a lot more productive. The benefits of this sort of arrangement come in many different forms. For one, your employees will be happier with their work, as they will be able to see direct results in the form of targets being met. Along with this, you will be able to start using these numbers as a way to weed out the weak links within your team. Of course, along with these benefits, though, you have to be careful; being too intense with these goals will make people feel miserable. Striking a balance which makes this fund will be a challenge, and it will be worth listening to your employees to make sure they are happy. For a lot of people, one of the best parts of going to work at the start of the day will be the people they interact with. Likewise, you will probably be fond of the people working for you, or they wouldn’t be at your company. Social time while working is one of the best ways to make a job more enjoyable. People will have the chance to catch up, share ideas, and get help regarding their work, all without having to break any rules. This sort of system works best in places where people working around each other. Of course, though, it has to be handled correctly if you want it to work. Over the last few years, there have been loads of studies into the impact of short breaks on people’s ability to work. Most have found that having breaks every twenty to thirty minutes can drastically improve someone’s productivity, while also giving them the chance to relax. These breaks don’t need to be very long at all. As a business, this will reward you with more work being completed, all the while keeping the people working for you happy, and making the business a lot more fun. It’s hard to talk about having fun at work without thinking about games. Even when people are busy at their job, there is always a little bit of room for this sort of fun, and there are loads of different ways to add it to your company. Small sports tables are some of the best for this, with examples like football being very popular. While these activities are fun, they don’t make a big mess, and this makes them much easier to deal with. A lot of modern companies are also employing the power of games consoles to perform this role. Of course, though, this will be expensive, and it may not work well for your employees. Having the chance to perform an activity which will occupy their minds without having to think about work will always make employees happier. As long as play time is kept separate from work time, this sort of idea can be great for your business. People will respond very well to the chance to have some fun like this, making it a great way to build your team, while also giving people something to do on the breaks. TV is very popular as a substitute for this, but will often make people feel sleepy and ready to go home. While embezzlement isn’t on your mind, there are a lot of ways in which a business owner can benefit from their work. Companies can buy their own property, land, and other large items, giving them a lot of power to make your life better. An executive condo Singapore, for example, would give you the chance to travel throughout the year, and it could be entirely owned by the business. 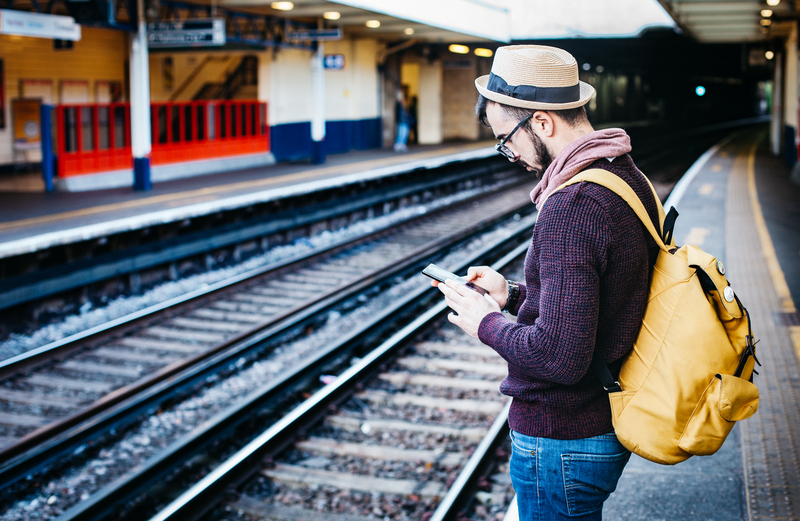 Whether this is for simple fun or for actual business trips, being able to afford this sort of option will be a great boon, and will be worth working towards if you have the means. Of course, if something like this is owned by the business, you’re not the only one who can use it, and this gives you a good chance to make your employees a lot happier with their roles. Having company vacations as a benefit on their job description will make a job much more desirable. Along with this, you will also get the chance to reward hard work, promoting it in the future. Most of all, though, as the biggest benefit you will receive, this will make everyone in the company a lot happier. There isn’t any reason to keep this to yourself, as you will only need it a couple of times each year, and this gives you a great way to make people happy. Finally, as the last idea to consider, it’s time to think about the boredom which repetition can bring with it, and why you should be working to escape it. Doing the same work everyday will quickly become very tiring. Most people will feel bad about their career, slowly wearing on them until it doesn’t work anymore. Of course, though, when you run your own company, you have the chance to vary your work as little or as much as you want. One day, you could be working on your biggest project, completing work which is essential to the business. On the next, though, you could be doing some accounting, giving yourself the chance to enjoy a varied work week. Like the other areas on this list, this sort of approach can also be passed down to the people working for you. Varying the work of your employees will always make them happier, as long as the work they are doing is worthwhile. Of course, though, it isn't just about happiness, as this can also impact the quality of their work. Even if they don’t realise it, your employees will get sloppy over time if they are doing the same work. Taking an approach which gives them unique tasks each day, you will keep them on their toes, and bad habits will struggle to form. Along with this, everyone will have a lot more fun. There are a lot guides around the web which are dedicated to teaching you how to better use your employees. From ideas which involve strict monitoring to ones which are much more free, there are loads of different areas which can impact this for an employee. Of course, as a big part of this, it’s critical that you consider yourself in the equation. Your business is there to serve you above all else, and this means that you should always be working to find new ways to make it work for you. Video gaming has become such a popular hobby in recent years that almost everyone enjoys the experience. From long, strategically dense games to story rich games and online twitch shooters, the genre has never known such breadth, diversity, and incredible scope. Video games are a multi-billion dollar industry, and for good reason. No other hobby can provide such a range of experiences outside of reading books. The tactile feeling a great video game gives, provided it’s quality and directed, can be almost incomparable to any other form of media. However, the detractors still exist. To some extent, this is wise. Not everyone is able to control their gaming hobby, and many people are addicted, clocking up hundreds of hours a fortnight playing the latest releases. However, this is often a fringe group, and many people enjoy gaming responsibly, and we’d say beneficially. Many online shooters, from the wildly successful PLAYERUNKNOWN’S BATTLEGROUNDS to Rainbow Six Siege all require solid co-operation, teamwork and careful forethought. Even more importantly, they develop your social ability, as conveying the most important information in a small timeframe is essential to success. Even those who are otherwise socially shy will find this a platform to develop their social training. Of course, random online teammates can be a mixed bag, but if you find a good community or environment to play in, you will be sure to experience some wonderful social experiences. Over time, you’ll find that your confidence in speech grows greater, and you use more brevity in your sentence structure. We all know that reaction times are one of the main benefits of gaming. Even someone with no experience of console and PC play could watch someone handling themselves in game and recognize the skill on show. Reaction times are important, and they’re trainable through this medium. Online twitch shooters such as Counter-Strike Global Offensive or Quake can help a person’s hand-eye coordination to a great extent. Winning team matches can be profoundly satisfying from an achievement perspective. To get to grips with the games, using a service such as ILikeCheats can prevent you from being stomped online. Once you develop your skill and understand the mechanics, winning team matches might come naturally. Playing in ranked lobbies helps match you against people around your skill level. Slowly raising the ranks after solid, good play can help you progress towards something. While some might consider this a superfluous method of goal orientation, there are major parallels you can draw to real life. Overcoming an objective when you’re doing badly requires critical thinking, fast responsive solutions, and even thinking outside of the box. There’s truly no better microcosm to learning the value of small challenge achievement than achieving things in a video game. New video games are often quite deep. They have systems that allow you creative freedom and expression in how you play, no matter the genre. Learning these alien systems and becoming competent in them can help you develop that attitude of competence in all areas of your life. Getting good at the unknown helps you develop tactics to research, practice and execute new skills well. There’s nothing that procedure can’t be adapted to. So purchase an online game and try it today! You might just have more useful fun than you originally thought. Businesses have a lot riding on the success of their products and services. You will need to be making money if you want to survive, and making money can be hard enough as it is. Throwing something like trust into the mix adds yet another layer of confusion to this job. So, to help you out, this post will be going through one of the easiest ways to build trust; time. Regardless of whether you’ve known a person or a business for a long time, their age and time in the field will be a good indication of their success. It should be easy to find out this information when you’re first getting started. But, to help you out, you can find some of the reasoning for it below. Proven Success: If someone has been working for a very long time without any success, they probably aren’t the best option for you. But, if they have had loads of customers, they might be a winner, and you should be looking to work with them. Of course, you will probably have your own measure of success. Well-Known: Being around for a long time will usually make a company very well-known. Mcdonald's stock, for example, is very recognisable, and people will feel comfortable buying it from you. This sort of principle is especially important when you’re selling something, as it gives you an additional reputation to use. Long Record: Finally, when you’re thinking about the time someone has been working for, it’s best to be able to see a good record of their employment or business history. The more information you get here the better. Companies which have been around for a while will have more to share than anyone else. Of course, building trust isn’t a simple matter of time, and there will be a lot more at play than you might think. Using the above as your foundations, you can use the areas below to craft strong relationships with those working with you. This sort of effort will almost always have some strong benefits. Education/Credentials: In the field of business, there are loads of rewards which companies will receive for good work. Along with this, education can be telling in someone’s ability to do good work and is an important factor to consider. This all ties into their past, though it’s an area a lot of people will ignore. Expedited Proof: Sometimes, a company or individual will rise from nothing over the course of nearly no time at all. In cases like this, these people are often very trustworthy. In fact, their name alone could be enough to do some good, and you just have to make sure that their success isn’t a fluke. Hopefully, this post will inspire you to start working harder on the time you put into the trust you build in business. Knowing when you should trust someone or not can be an impossible challenge. Of course, though, with the right effort, you should be able to make it a lot easier for yourself. We are all familiar with the stereotypes that revolve around activities such as gaming, cosplay, and comics. They often come hand in hand with what has generally been assumed to be a rather negative connotation: the geek or the nerd. But it’s time to reclaim the term geek and everything that may come hand in hand with it! The skyrocketing popularity of online forums and social media has made us realize that those of us invested in franchises and brands such as World of Warcraft, Star Trek, Zelda, Marvel and Warhammer aren’t so alone after all. There’s a reason that the companies pumping out these games and merchandise have stood the test of time: they are popular, and thus they sell. So, if you find that you are labeled a geek or nerd because of your interests, take pride in it. Here are a few stereotypically “geeky” hobbies that you should never be ashamed of engaging in. When people think of gaming, the image of an isolated, socially inept teen spending hours in their room with a headset on often springs to mind. But the reality is that individuals of all ages, interests, and habits engage with gaming. It’s not all too surprising seeing as this market covers so many genres. There are a whole host of options out there, so it’s almost guaranteed that there’s a game that even the starkest anti-gamer would genuinely enjoy. For those who want pure escapism, there are role-playing games such as Final Fantasy. The latest edition can be easily downloaded at www.finalfantasyxvapp.com and started up in a matter of minutes. This game allows you to assume the role of a protagonist in a fantasy world, completing a whole host of tasks, quests, and battles. For those who are more social, there are MMO games. MMO stands for Massively Multiplayer Online. You can play against other gamers from around the world, engaging with people you would have never otherwise met and collaborating to succeed and move up levels. Alternatively, you can battle against one another, testing your skill against other real-life players. If you enjoy riddles and quizzes, you can try out puzzle games. These range from the traditional and simple (such as Tetris) to the more modern day and specialized (such as Big Brain Academy). Whatever your interests, there will be something perfect for you. If you are unfamiliar with cosplay, it is simply the act of dressing up as a character from a film, book, or video game. Most people opt to dress as someone from Japanese anime or manga in particular. Cosplay has experienced a huge explosion in popularity since people are now more capable of sharing images of their brilliant costumes on social media feeds. Facebook, Instagram, and Twitter are constantly awash with individuals cosplaying common characters (such as Link from Zelda, Deadpool, and Harley Quinn) to the more obscure (such as Miranda from Legend of Dragoon or characters from much smaller fandoms). Cosplay is extremely rewarding, as it allows you to live and breathe your passion. You can also meet up with individuals of similar interests at conventions, being able to bond over your outfits. What’s more? You get to express your creativity freely. Comic books. If you’re into them, chances are that you are already fully aware of your interest and have piles and piles of common and rare copies filling your home. But if you’re new to collecting comics, here’s a quick debrief. A hobby is essentially the telling of a story through sequential art. They’ve been around for years, but the most commonly acknowledged and successful type are those telling tales of superheroes and anime characters. 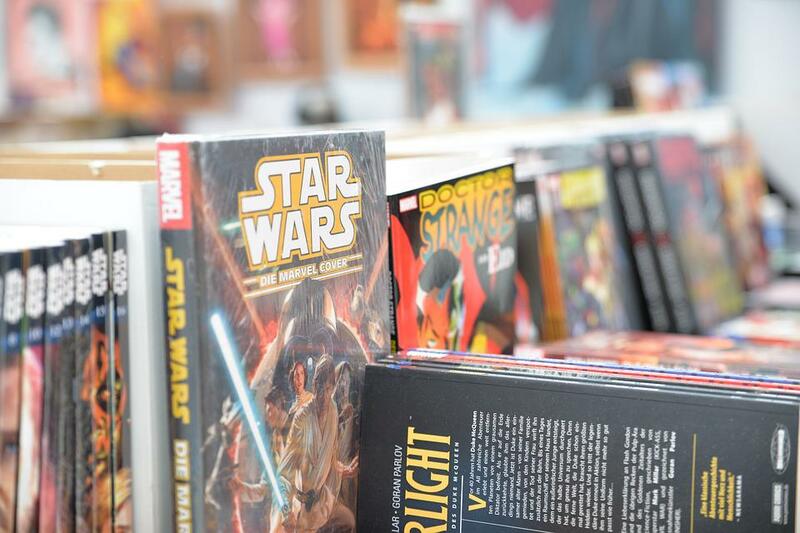 The Marvel franchise is perhaps one of the most recognized around the world, with rare copies selling for millions of dollars. An original copy of Action Comics #1 (which introduces Superman to the World) sold for $3.2 million. So if you get your hands on the right collector’s item, you really can be in to make a profit. Go to specialist stores, root through wares being sold at car boot sales and keep an eye out at local auctions, just in case something astounding comes up. As you can see, there are plenty of benefits of engaging with stereotypically “geeky” hobbies, and there are hundreds and thousands of others out there who think that these activities are just as great as you praise them to be. So never be ashamed of your interests and embrace what you enjoy.